The exhibition Sharon Lockhart: Pine Flat opened this weekend, and the show looks beautiful. But those of you who read this blog will notice something missing from the exhibition gallery: the Windsor settee. The floorplan of an exhibition is developed over a period of several months to a year, depending on the complexity of the exhibition. Curators begin by working in 2d, with a floorplan of the gallery and scale cut-outs of each artwork. (We go through a lot of removable tape in this period.) The wizards in our Program Services department have even figured out how to make cut-outs featuring the image of the artwork, which is incredibly useful when you’re dealing with an exhibition like Chuck Close: Self-Portraits, 1967-2005 in which a large number of works are untitled. Sometimes the curators move on to 3d models. As you can imagine, curators are by nature visually oriented and the models allow them to more easily visualize the relationships between artworks or the various views a visitor will see as he/she moves through the galleries. 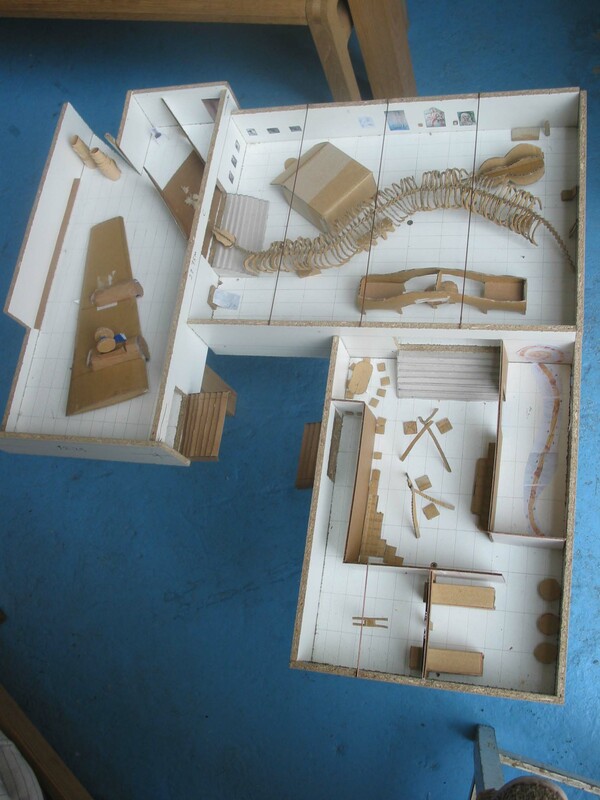 The final stage in the development of the floorplan happens as installation is progressing. The curator, often with the artist at his/her side, may decide at the last minute that there just isn’t enough room for visitors to move safely around an object, or that a particular artwork doesn’t really go with the others in the room. 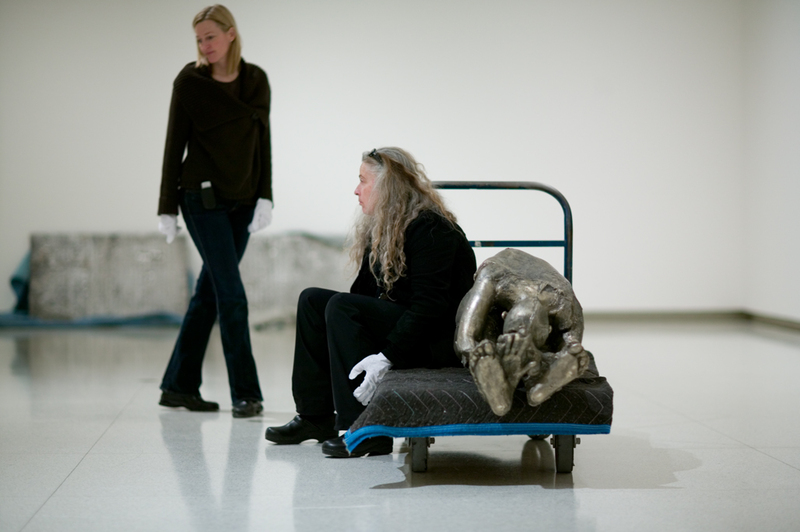 In the case of Kiki Smith: A Gathering, 1980-2005, for example, the artworks were unpacked and placed in the galleries based on the floorplan that the curator (Siri Engberg) and the artist had prepared. Then Siri and Kiki experimented with various combinations of the artworks, rearranging some and ultimately pulling some from the exhibition completely. As for Sharon Lockhart: Pine Flat, several adjustments were made once the walls were built and the artworks hung. Too much indirect light was entering the film room from the windows, so some of the white walls were repainted grey to minimize reflections. The wall on which the film is projected was repainted black to heighten contrast. And it became clear that there wasn’t enough room for the settee in the area where it was to sit. There is still some seating in the film rooms, so those seeking out a place to rest will still find it. But – with apologies to Tyler Green and the rest of you who would like a chance to chill – there will be no settee. Ah well, c’est l’art.